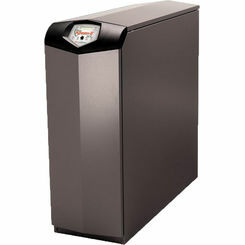 Save on both commercial and residential boilers. At PlumbersStock, we know boilers are a crucial part of home heating systems which use “hydronic heating”. 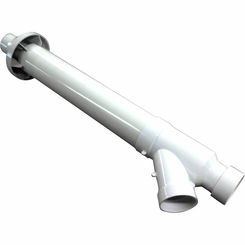 This type of solution uses the boiler to heat water warm a house or building. Installing these systems can be a burden for your wallet, but in the long run, they provide high efficiency and lower energy costs. You can even receive a tax claim credit with certain models. Browse through thousands of HVAC parts and get your heating and cooling system in tip-top shape. 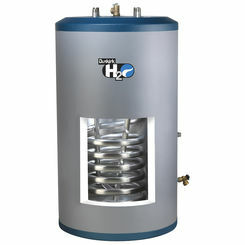 Hydronics - Hydronic heating can be summed up as any heating system that uses water in the system. Whether by hot-water or steam heating. 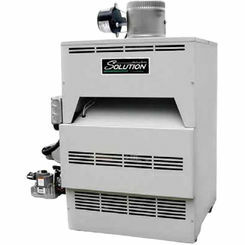 Hot water boilers can be found as hydronic systems, and they are generally quiet and create an even distribution of heat. Forced Hot Air - This is the most common heating system for your home, mainly because it uses the same ductwork as your central air system. Electric Heat - Electric heating is most commonly used with baseboard heaters. These work great but can become expensive with the rise in electric costs around the country. 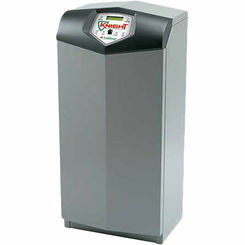 Hot water boilers come with an efficiency rating called AFUE or Annual Fuel Utilization Efficiency. This rating measures the thermal productivity (efficiency) of a heating appliance such as a hot water heater, furnace or boiler. Dunkirk boilers have a proud history that started with innovative products in 1928. Dunkirk uses consumer feedback to be more innovative with their products. 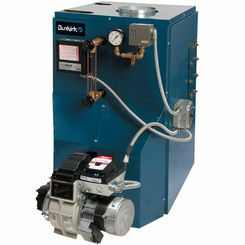 All Dunkirk boilers offer high AFUE ratings. 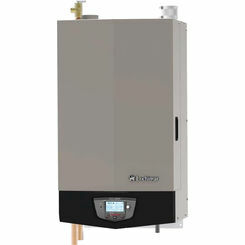 Lochinvar boilers are cost-effective solutions. Their Knight line continues to get better with innovation each year. In recent years, the Knight models have been produced with a “Smart Touch Control”, which allows for easy changes in how you want to heat your home. 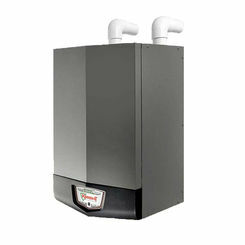 Lochinvar boilers deliver both quality and durability. When choosing the size of your hot water boiler, it is important to have a trained (qualified) heating technician to take a look. He will do what is called a “Heat Load Calculation” which measures the size of the home or building, and also the climate in your area. This is all done in order to determine the coldest day that you might have during the year. Having a professional come to your home to calculate the correct boiler for your needs will help you get the greatest efficiency out of your heating system. Since HVAC systems contain high heat and combustion processes, it is important to gain the knowledge before doing any work on your system. If you are a Do-it-yourselfer getting a new boiler for your home, you may want to consider contacting a heating technician to guarantee a safe installation. If you want to know which boiler would be cheapest with your utility bills as far as fuel (natural gas, oil, electric or propane) costs, contact your utility provider to give you the best information to make an educated decision.  There is no better place to get your new hot water boiler than PlumbersStock. Our knowledgeable staff and wholesale prices cannot be beaten anywhere on the web. 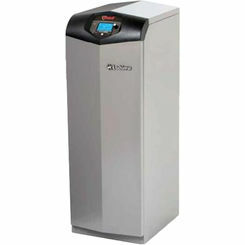 We are here to help you to get the right boiler for your home or commercial building. If you have any questions about commercial or residential boilers or the hydronic process, please contact our staff and we will be happy to help you complete the job.